Charles Villiers Stanford's opera Much Ado About Nothing (based on the Shakespeare play) was staged by Opera Viva in 1985 and I caught one of the London performances. It was the sort of event which can often trigger greater interest in a rare work, but Stanford's delightful comedy does not seem to have sparked much attention and it seems no-one has tried performing it since then. Now the Northern Opera Group is planning a performance. On 4 August 2016 at Left Bank Leeds the company will be presenting extended staged excerpts from the opera, with piano accompaniment, as a preview of plans to stage the opera in 2018. The 4 August performance will be the culmination of a five-day workshop with director, Eleanor Taylor, and conductor, Christopher Pelly and singers David Cane, Sarah Gilford, Brian McNamee, Samuel Pantcheff and Catrin Woodruff. 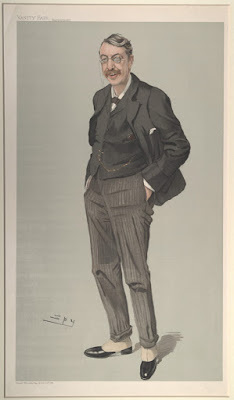 Stanford's opera was premiered at the Royal Opera House in 1901 with a libretto by Julian Sturgis, who also wrote the libretto for Sullivan's Ivanhoe. The opera does not seem to have been recorded, and apart from the 1985 performance, the last major performance was at Wexford in 1964. Though best known for his choral and symphonic works, Stanford in fact wrote around nine operas, it was a form he kept returning to despite mixed success. RVW (who was a pupil of Stanford's) lamented that in 1952 Covent Garden seem to have 'celebrated' the Stanford centenary by performing Bellini's Norma rather than Stanford's Seamus O'Brien which RVW regarded as the composer's masterpiece. In December 2016 the Northern Opera Group will dusting off another rarity, Pauline Viardot's opera Cendrillion which they will be performing with a community cast at Duke Studios in Leeds on 1, 2, and 3 December 2016. Full details from the Northern Opera Group website, and Much Ado About Nothing tickets from TicketSource.